How do I make different junk garden displays every year (or every other) to keep it interesting? 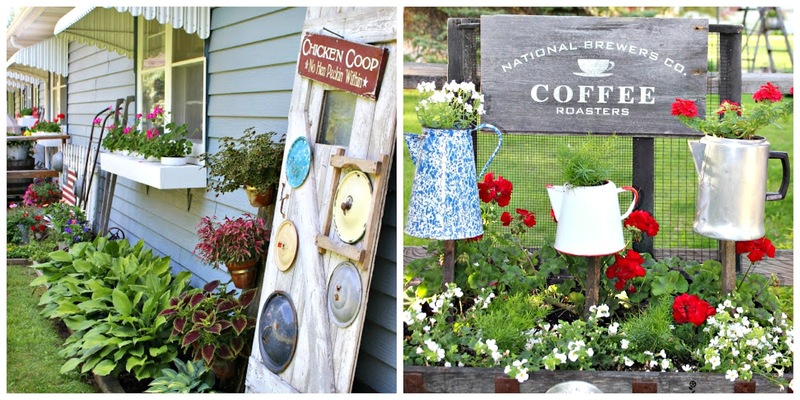 Reuse the same pieces with different pieces and flowers. 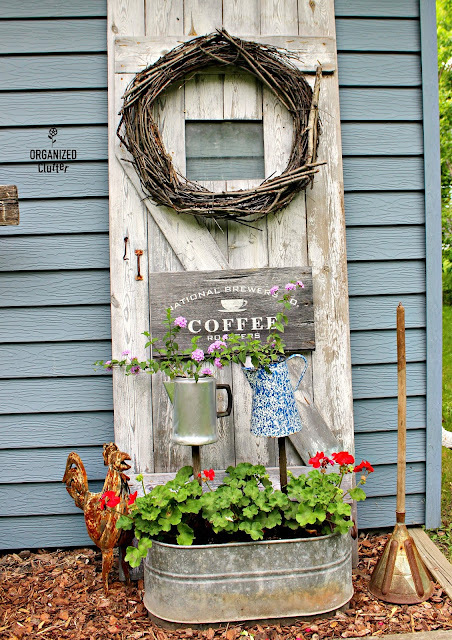 See how my barn door with pot lids and coffeepot planters on stakes become a new vignette. The lids are off of the barn door, and have been replaced with my coffee sign stenciled on barn wood with the "coffee roasters" stencil from Old Sign Stencils, and also a grapevine wreath. 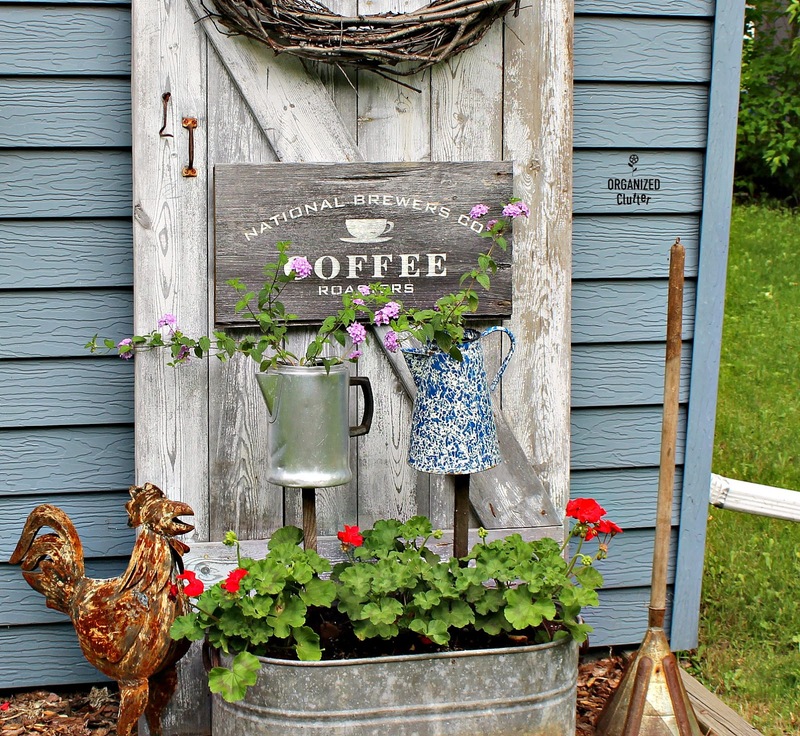 Two of my coffeepots on stakes have been pushed into a galvanized farm tub. 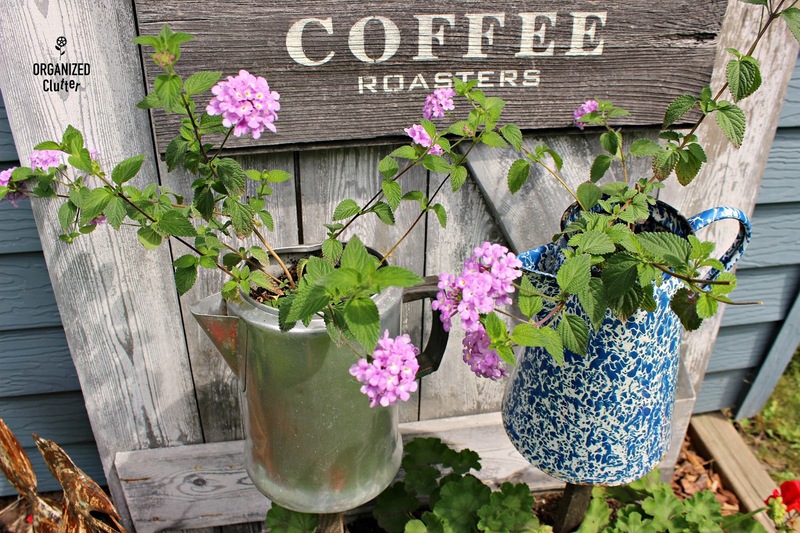 The pale lavender flowers are trailing lantana. To keep my coffeepots standing up straight and tall, I place a couple small rocks around the base of the stake. This helps when the dirt is wet. Three red zonal geraniums are in the tub, and a rusty rooster and laundry stomper round out the new vignette! 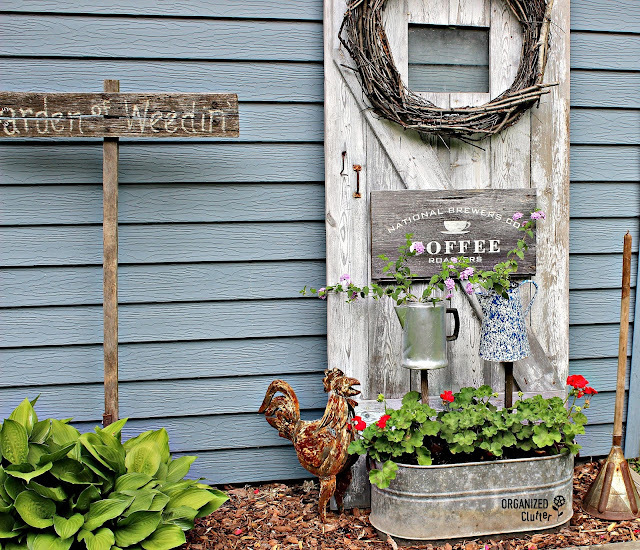 The barn door back drop adds the much needed vertical interest to this vignette.